NOTE: Sseller paid $7300 , in concessions.BEAUTIFUL VIEWS AND SUNSHINE ON 39.5 ACRES! 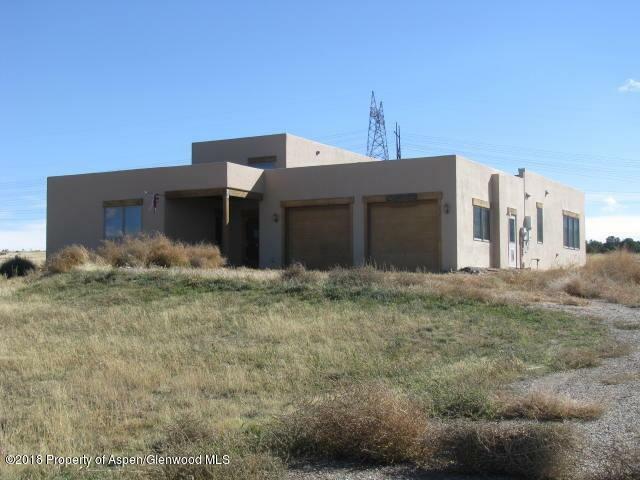 3BR, 3 BTH ranch style with 10 foot to 15 foot ceilings, lots of glass and an open floor plan. Propane radiant heat system plus a full solar system (27 panels) tied into the grid. Large master bedroom and two additional larger bedrooms, each with walk-in closets and a bath. Main living areas are tile with new carpet in all 3 bedrooms. New range and dishwasher (no refrigerator) 2 gpm well plus 1200 gallon cistern to pump to and then out of. Property is fenced and cross fenced, borders BLM, 12x36 horse shelter and small shed.